little bee books, 9781499804805, 40pp. 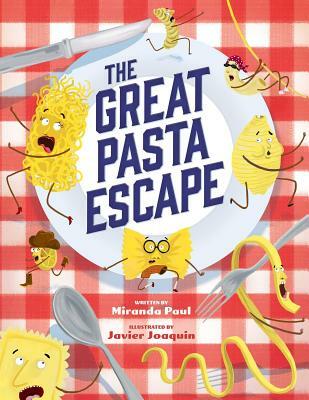 Miranda Paul is an award-winning children's author who writes serious nonfiction books and silly made-up stories like Trainbots, Blobfish Throws a Party, and this one. She loves using her noodle to play trivia and board games. Her favorite vacation spot is the island of St. Lucia, and her favorite pasta is penne. (Which is why she purposely kept penne out of this book and asks you never to read it aloud when they are around.) Visit her super website at mirandapaul.com. Javier Joaquin was born in Buenos Aires, Argentina. He discovered his love for illustration in early childhood. His inspiration comes from his acute observation of urban characters, architecture, and nature.